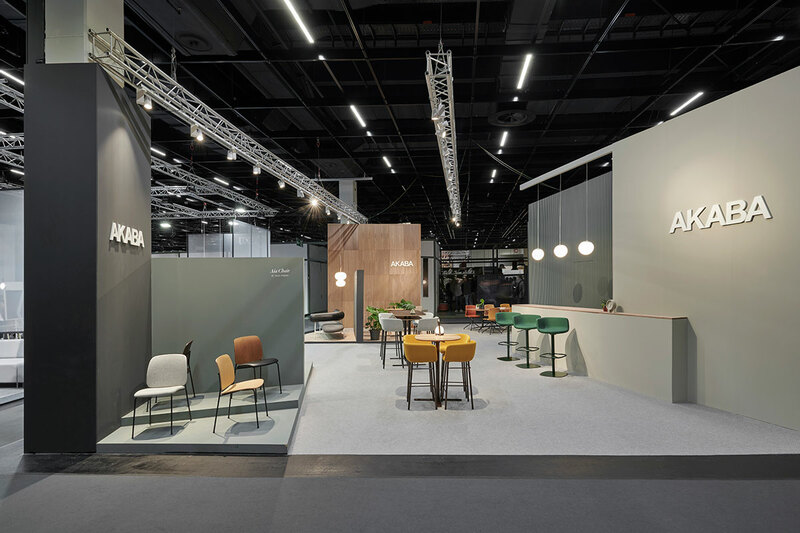 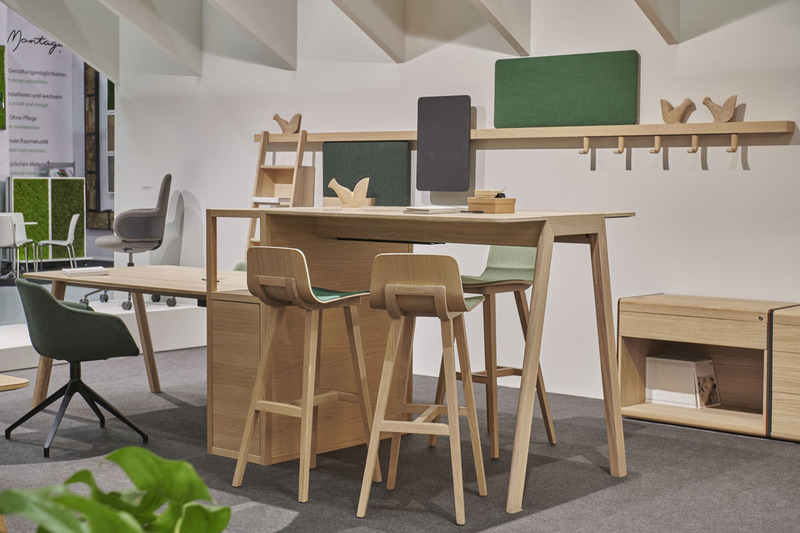 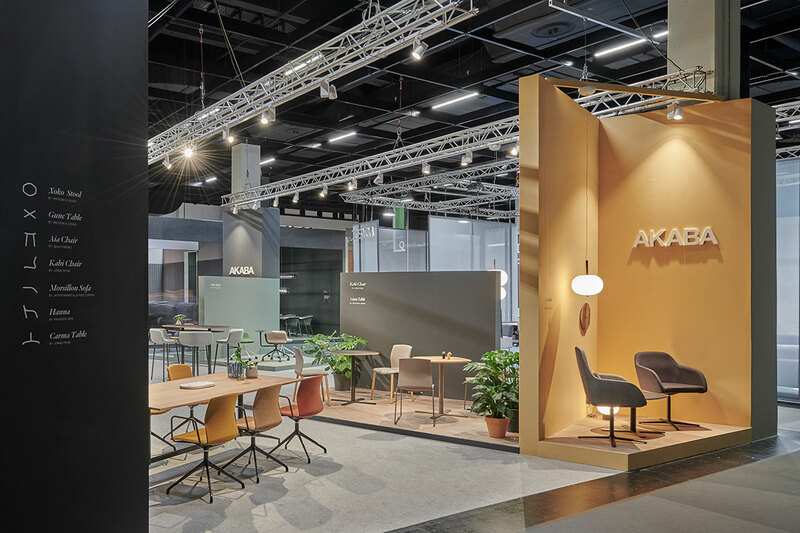 This was the first time Alki attended Orgatec, and for such an event we tried to arrive with a warm proposal for the future work environments. 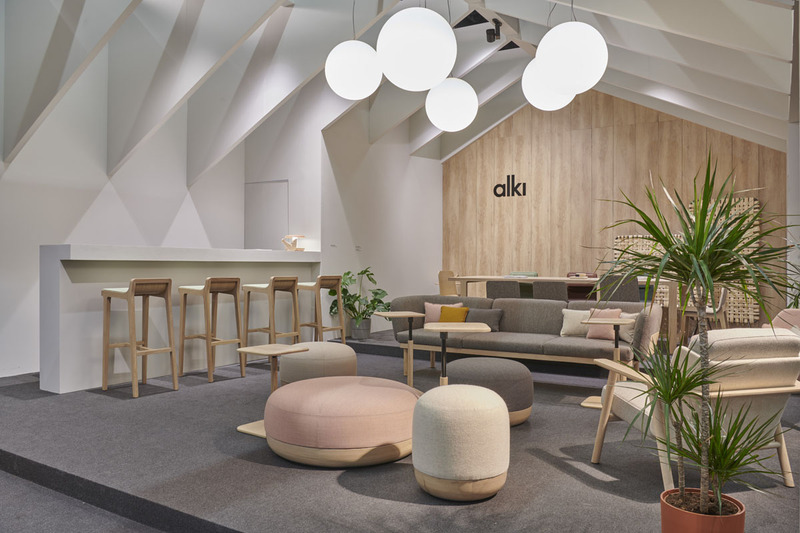 We wanted to give to Alki´s space a very wellcoming feel with references to the stereotypical homes. 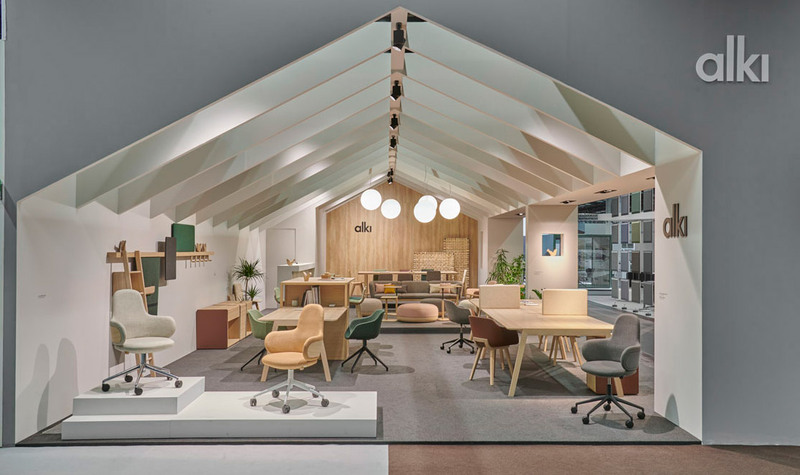 Three different flooring heights separate three quite diverse environments, that go from a fully workspace-oriented ambience to a lounge and subsequently a dining area. 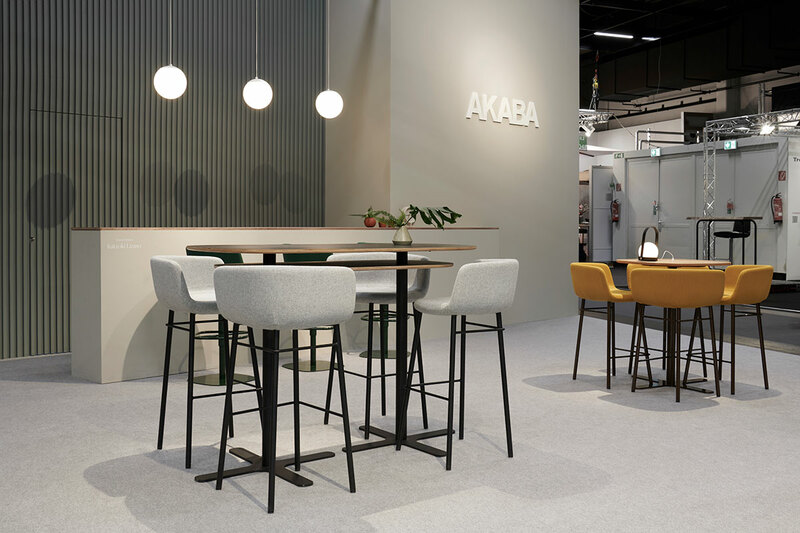 Xoko and Gune have been our first collaboration with Akaba and we also designed the space in which Akaba was launching several new product. 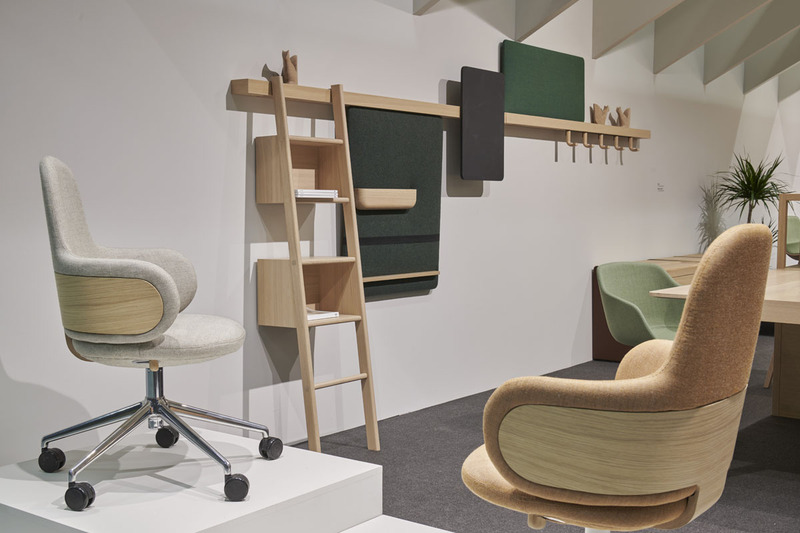 The logic behind the space design was about having an angular offset that made the space both practical and interesting. 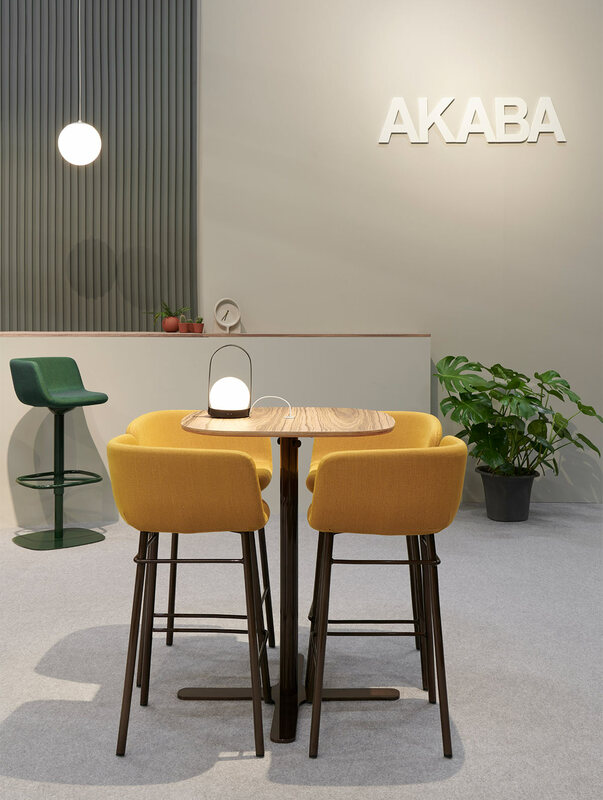 An extensive work in colour, underlining a contemporary elegance also marks the first step in creating a commonground universe between Akaba’s heritage and Iratzoki Lizaso’s new proposals.